Getting ready to purchase a new property is an exciting time! You are finding a new place to call home, a place where you and your family can make new memories together. You want a place that meets all your needs, such as being only so far from your children’s school or having a backyard for your dogs to exercise. Finding a place (or places) that meet all the items on your dream property list is exciting, but there is one other thing a property should be able to meet: passing termite pre-purchase inspections. Termites can quickly turn a dream home into a nightmare. They can cause significant damage, resulting in a headache for you to try to fix. A pre-purchase inspection in Berwick is your way to prevent this headache. Building and pest inspections identify potential problem areas, places of minor or major damage, and possible pest threats. It allows you to make an informed decision before you buy your Berwick property. Termites are great little creatures in nature. They break down debris and return nutrients to the soil, working as nature’s gardeners and fertilisers. Their eating habits, though, are terrible for human property. Termites do not distinguish between wood in a forest and wood in a house. They just eat wood. As termites feed on the wood in a building, they slowly wear away the strength of the building’s structure. It is not easy to catch this damage as it is occurring. It is much more common not to notice a problem until a significant amount of damage has occurred. If the termites are not caught quick enough, the building may be temporarily unliveable while you carry out repairs. These repairs, unfortunately, can become very costly very fast. Because the damage to the very structure of the building is difficult to treat, it can take a long time to repair the structure to its original pre-termite state. 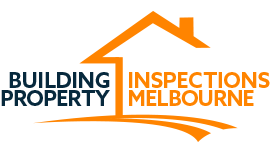 At Building Property Inspections, we want to make the building and pest inspections as easy on you as possible. You can book an inspection online or by phone call, whichever is more convenient for you. Our staff is ready to inspect the property whenever you need (including a next day appointment). We will then contact the estate agent for you to confirm the date. During our building inspections, we examine everything. Our property inspections in Berwick are thorough, examining all the areas of wood on the property. We will examine the structure itself, trees, wood fences, anywhere where termites might live. After our inspection is complete, we will call you to discuss the results of the property inspections. We will explain our building inspections in clear language and answer any questions you might have. Then we will send you a detailed property inspections report. We work hard to provide quality customer service. We have full professional indemnity insurance and public liability, as well as membership in the Housing Industry Association for over 15 years. Let our qualified staff guide you in making the exciting purchase of a new property.